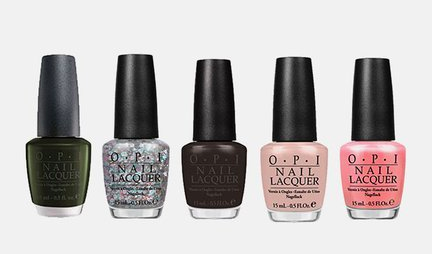 5-pack OPI Nail Polishes Just $19.98 Shipped (= $3.99 each)! You are here: Home / Great Deals / 5-pack OPI Nail Polishes Just $19.98 Shipped (= $3.99 each)! If you love OPI nail color like myself, then you have got to check out this HOT deal! Right now, you can get a 5-pack of OPI Nail Polishes for only $19.98 Shipped! That makes each one only $3.99, and they normally go for $8 or more, so this is a crazy good deal!